Page 10: New Life Members of the OPA; Lost, Found and Seeking. Firstly, we need to provide the loyal existing members of the OPA with what they are looking for – an opportunity to meet friends every year, to hear news about their friends and learn about the latest activities of the host school, Upton Court Grammar School. This will be achieved via the annual Reunion and the yearly Newsletter. The previous practice of supplying commemorative books to the school library has been replaced by funding selected school projects approved by the Committee. As the school department heads must submit applications for funds, this brings us into direct contact with them. One such project is a water fountain for pupils – this will have a plaque above it acknowledging that it has been donated by the OPA. The wireless head microphone sets we will be using at the Reunion are another example of an OPA-funded project for use in school productions. To increase the visibility of the OPA, we have had archive displays at Parents’ Evenings and at school artistic performances. OPA members have attended Governors’ meetings (we now have an OPA governor) and judged school projects on School Science Day. We will be attending school assemblies and giving badges to participating students. This year will see the introduction of two new school prizes, donated by the OPA, for academic and sporting achievement. The prizes commemorate two famous Old Paludians, Laurie Brokenshire and Jack Hammerton. You can read more about them in another part of this Newsletter. Over the last year Ian Cairns and Rajesh Sharma have been working on a new website that will eventually bring the school and the OPA closer together and be populated with news, so that it is active rather than static. This is essential in the modern communication world. It is all very much “work in progress” but a lot has been achieved over the last year. The rapprochement is by no means one-sided – driven by the Principal and executed by the Senior Assistant Principal, Naveed Hussain, the school is as interested as we are in establishing the OPA as the natural progression for alumni. May I thank all of you who have made donations throughout the year. These have enabled us to fund our modest running costs and provide the funding for the initiatives that are so important in building our new relationship with the school and in turn stimulating the interest of current students in joining the OPA when they leave. As a consequence of your generosity, you will see from the Treasurer’s Report (elsewhere in this Newsletter) that the OPA is financially sound. 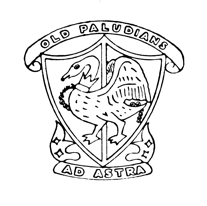 The Committee has been very hard working this last year and I thank them for their support and the time they have given up in the interest of the Old Paludians Association. I look forward to meeting more of you at the Reunion and if you have any suggestions, however small, there will be a Suggestions Book at reception to write them in. After twenty-eight years as a teacher and school leader in UK schools, I have taken the difficult decision to resign my post. I will be returning to Spain at the end of this academic year, to be closer to my mother and family. It has been a real pleasure, indeed an honour, to serve the school as its Principal from 2010 to 2017, and since then as CEO of the Trust of which the school is a member. I have enjoyed the challenges and the successes of my eight years in post and want to believe that I have made a positive contribution to the life of the school during my tenure. I have always received a warm welcome from the Old Paludians at every event and reunion. Your commitment to the school and its students is one that I admire and share. As I start my round of farewells, I want you to know how much this school means to me and how appreciated you have always made me feel. As a soon-to-be ex-member of staff, I will join the Association and look forward to hearing about its plans to engage future generations of students and staff. With gratitude and admiration. Ad Astra!